Note: See also this previous post, The Upward Glance and the Lowest Bow. This entry was posted on Sunday, October 6th, 2013 at 10:40 am and is filed under Books & writing, Commentary, Current Affairs, Islam, Islamic Artists, My writing, Religion, Spirituality & Religion, Sufi, Sufism, Uncategorized. You can follow any responses to this entry through the RSS 2.0 feed. You can leave a response, or trackback from your own site. Thank you for your comment, dear Sister Rabia :) However I think we are being to literal to want the exact wording, which is open to various translations. The point is that the ancient Hebrews of the Bible also expressed their worship of God by washing and prostration, by humbling themselves before the Lord. I know that a few christians lay on the ground to pray – and of course, you lay on your face. Maybe the bible meant this prayer as well? Very educational, I enjoyed this. I read a few comments maybe it was the Jewish way or the Christian way. But if you read the stages it resembles the muslim prayer almost to the T. There’s only one god that has no children. Islamic religion is Allah’s own religion, if you take a look or study Islamic religion, you will come to realised that Islam is the only true religion of God on earth, take for instance when Moses (Musa) wanted to communicate with God, God said to him where you are standing to communicate with God Holy ground therefore put off your sandal, Muslims all over the world don’t communicate with God with their shoes on, infact they don’t enter their places of communications with their shoes. When Moses and Jesus said in the Bible ” The Lord our God the Lord is One”. Islam is the only religion in the world that accept the fact that there are only one God. when Abraham, Moses, Jesus etc fell on their faces to worship the only true God, Muslims all over the world follows their mode of worship, Jesus fastest for forty days Muslim are all over the world fast for one month. I can go on and on but time. Malike, that could also mean Prophet Muhammad (saw), who was an orphan, having no father or mother. Indeed, he was God’s slave. 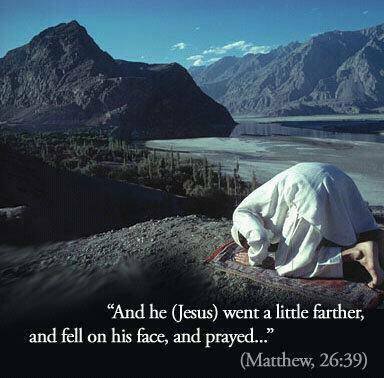 If you truly study Islam you will find that Mohammed copied how the Hebrew Yisraylites prayed before he conquered Kalibar a city where some of the yisraylites settled after being displaced during roman occupation, 1st century. Islam is not the teaching of the yisraylite prophets, not even close and most Arab speaking Europeans are not exposed to history. Roman Catholic Church is truly responsible for the creation of Islam, they controlled Arabia around the 3,4,5 century! They removed the yemenites/ cushion empires who were the pagan moon worshippers of hubal” they also created the kabba stone. Just research for yourself and you’ll find the truth. Satan is greatest deceiver. When Satan was asked to prostrate to God’s creation which was Adam a.s, he rejected to do so, he denied and chose to look the other way from His creator. I believe that this habit of rejection and denial comes from Satan, when disbelievers coming from any religion that has been successfully twisted by Satan down the years reject the message of Islam which has been the same since beginning of time, Adam a.s, to submit our will to our master, it is as good as satanic behavior being portrayed in them, that has consumed them. There are countless laws and morals in the Quran of which when applied today are the solution to Humanity and gaining of uttermost peace in our souls. It is only when Jesus pbuh departs, when Muhammad pbuh, the last and final messenger may come. More so, he is even mentioned and prophesied by name in the original hi brew text.